We’ve seen growing demand for inner city homes over recent years, so following the success of our Flaunt development in Leeds, we are now offering new homes right in the heart of Wakefield. 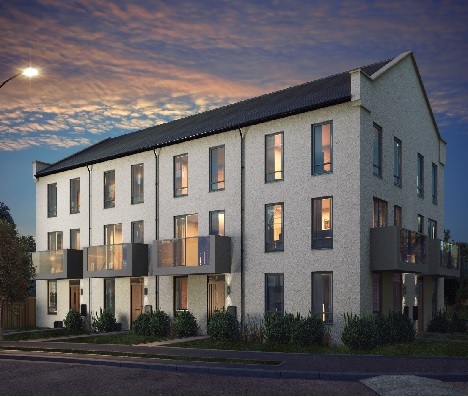 Agenda is a collection of two bedroom homes located on Balne Lane in Merchant Gate, just a few minutes’ walk from everything the city has to offer. With reduced commuting times and all the facilities you’ll ever need, it’s the ideal location for first-time buyers and young professionals. Wakefield has become a popular destination for home buyers over the past few years. Merchant Gate has been through a multi-million pound regeneration scheme, bringing new businesses and facilities to the area. The city is ideally placed for commuters, with Leeds, Huddersfield, Bradford and Barnsley all close by. Agenda is just a stone’s throw from Wakefield Westgate Train Station, so you can be in Leeds in a matter of minutes. There are plenty of cafes, restaurants and bars within easy reach of this exciting new development, while Trinity Walk Shopping Centre and Wakefield Market are also close by. The two bedroom Livorno is designed over three floors and offers a spacious alternative to apartment living. There is a ground floor bathroom with corner shower, as well as an additional room you could use as a bedroom or study space. Head upstairs where you’ll find a first floor living area alongside an open plan kitchen and dining room. On the third floor is the master bedroom with ensuite, complete with Porcelanosa tiles and top quality fixtures and fittings from Villeroy & Boch. Each home on Agenda has its own allocated parking space – a luxury when it comes to city centre living! Our new Sales Complex at Agenda is now open. To find your new home in Wakefield, speak to our Customer Experience Manager on 01924 917306, who will be able to answer any questions you might have, and tell you more about the Livorno.